I love behind-the-scenes features for animated movies. Yesterday, I took my three boys and two friends to a packed moviehouse to watch The Lego Movie. It’s pretty good, poking fun at itself and the corporate environment, with plenty of inside jokes for adults and crazy mayhem for kids. 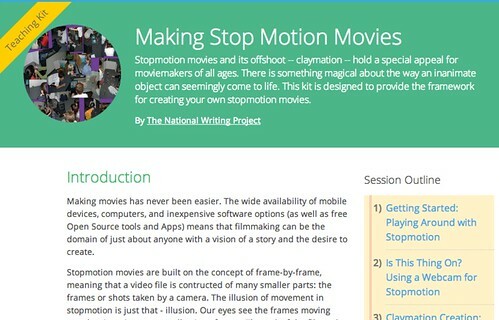 If your children or students saw the movie and are now thinking, I wanna do that (ie, make a Lego stopmotion movie) check out this stopmotion moviemaking hactivity kit resource that I created for the Mozilla Webmaker through a partnership with the National Writing Project. This entry was posted in Adventures in StopMotion Animation. Bookmark the permalink.